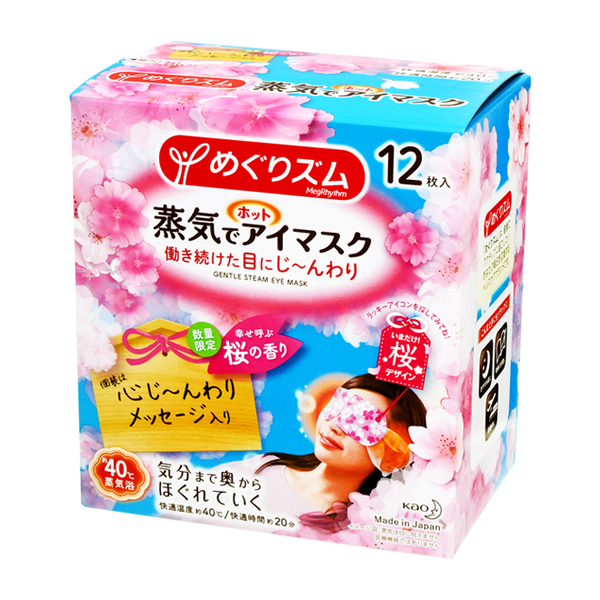 Exclusive sakura fragrance for a relaxing, steamy feeling around your eyes. 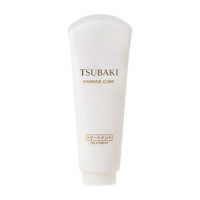 ・Do not use in case of diseases, inflammation, wounds, swelling, eczema, etc. in or around your eyes. ・People sensitive to heat, with low body temperatures or who are currently under a treatment should ask their doctor of pharmacist before using this product. 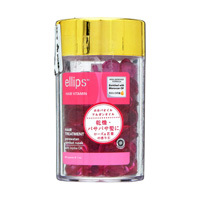 ・Be careful when using this product on children, people with disabilities and/or people with dementia. 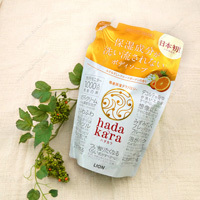 ・Stop using immediately if you feel pain or if is it too hot around our eyes when using the mask. 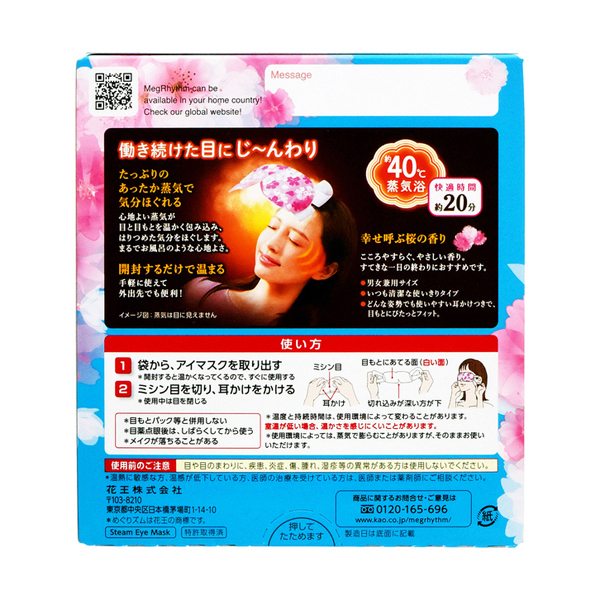 ・Stop using the product in case of swelling, itching or irritation in or around the eyes after or during use. Consult with a specialist if any of the symptoms persist after use. ・Do not press the mask over your eyes. ・Do not use the mask if it is damaged. 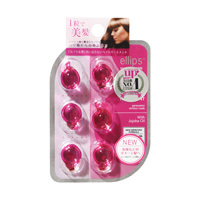 ・Once the mask stops emitting heat, it cannot be reused again. ・Do not heat in the microwave. 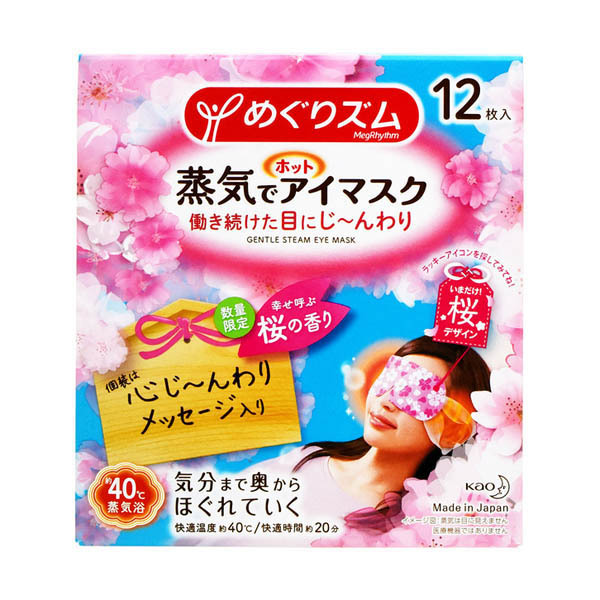 ・It is normal to feel itchy or have the skin around your eyes turn red when warmed up. ・Keep out the reach of children and people with dementia. 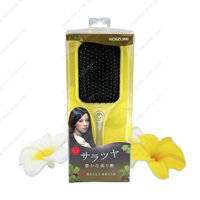 ・If the individual packaging is damaged, it may not generate heat. ・Discard the product according to the guidance of your local municipality.